Vitdom added a comment to T138853: Crash on Warlords official server. When you crash, the game will most of the time generate crash dumps and logs that can be analyzed to find out why it crashed. .RPT logs + dump files can be found in %localappdata%\Arma 3\. Take note of the date your game crashes and compare it with the date stamp of the dump files. By placing them in a compressed archive and dragging and dropping it here, you can upload them. leocarter added a comment to T116934: Cannot start ArmA 3 "Steam is not running". Jean_Lapin added a comment to T138853: Crash on Warlords official server. For sure I will. Sorry for the inconvenient of useless attached files.... I just followed the instructions, but I don't really know how all this stuff works. genevahicks added a comment to T127019: Game launch error. arkr17997 added a comment to T82348: Texture problems with new personal armor and ghillie suits.. I ma here for the share this windows 10 update settings to all users it is the best way for the batter work here. Astaroth closed T136457: The sound of engine of Varsuk remains on it's wreck as Resolved. this issue should be fixed in next update. You can try it now in Arma 3 devbranch on Steam or in RC version on Steam. selkathguy created T138913: Backpack Contents not Synchronized with Server. • KGF123 added a comment to T127541: Bad Module Info crash whenever I drive. • KGF123 added a comment to T119063: D3D Error - DXGI_ERROR_DEVICE_REMOVED. • thanos17997 added a comment to T77511: Terrain Builder causes random slowdowns and eventually freezes PC. • thanos17997 added a comment to T78016: Game crashes on launch when joystick plugged in. • thanos17997 added a comment to T78993: AV camera viewdistance is always 500 whatever the player viewdistance. distractor2004 renamed T133342: Katiba, Vermin, Sting, Protector, SDAR, CMR, and Type 114, do not use proxy magazines. Katiba magazine model is based on MX magazine model. from No Vanilla Mags Support Vanilla Proxy Magazine Features to Katiba, Vermin, Sting, Protector, SDAR, CMR, and Type 114, do not use proxy magazines. 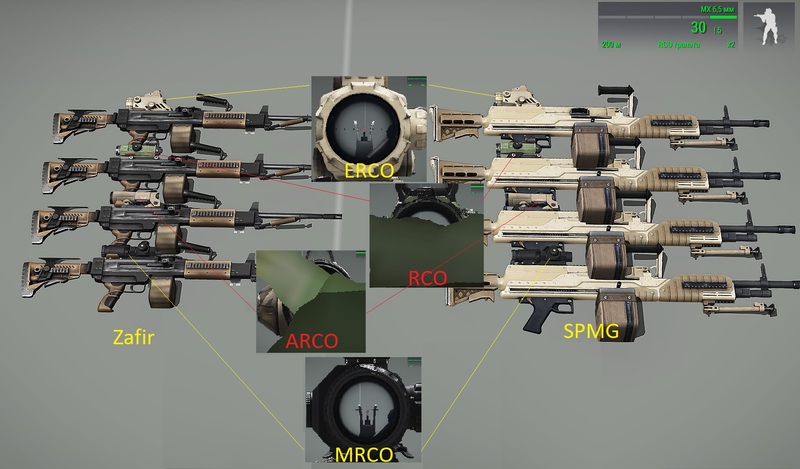 Katiba magazine model is based on MX magazine model..
distractor2004 added a comment to T77263: Encountering periscope bug with Ifrit/Hunter HMG/GMG variants similar to ticket 0017112. I believe this issue was resolved a long time ago and can b closed. distractor2004 added a comment to T71707: MX Magazines should be interchangeable with ALL MX rifles, 100 round MX mag is not. MX Magazines are now interchangeable with the latest Dev Branch update. Closing. DCsinner650 renamed T138791: Battleye not working therefore not letting play arma 3 from Battleye not working therefore not letting play arma 4 to Battleye not working therefore not letting play arma 3. Yoshi_E added a comment to T128666: setAmmoOnPylon only accepts index, not pylon name. DCsinner650 created T138791: Battleye not working therefore not letting play arma 3. L0cke_ created T138790: T192827-Arma 3 crashing whenever i load into a game singleplayer or multiplayer . arkr17997 added a comment to T117089: Comments Appearing in editor while Hud is turned off. There are the update to all web users for the clipboard history in windows 10 system easily for the batter access the function to working. mhajsiuk updated the task description for T138780: Stange behaviour when looting enemies clothing. mhajsiuk created T138780: Stange behaviour when looting enemies clothing. OneTwo9th added a comment to T124112: Issue with Sound in 1st person on 64-Bit ARMA 3 stable - Lag - Stutter - USB 7.1 headset & AMD CPU. @razazel some considerable amount of time has passed since you last gave us an update. The issue is sadly still relevant an will very likely also be present in the upcoming Global Mobilization DLC since it shows in Mondkalbs Global Mobilization - Demo Vehicle from the Steam workshop. OneTwo9th added a comment to T122385: 64 bit executable audio and stuttering problem (Please help!). Please assign this to someone else since Alwin is not active anymore. The problem still exists and will also in the upcoming DLC -Global Mobilization since it is present in the Demo Vehilce from the Workshop. emrekartal34 added a comment to T136665: arma 3 oyun giriş sorunu yaşıyorum. Astaroth added a comment to T138710: Arma 3 Crash - Fatal User callback exception. all crashes are in SaiQFFB5.dll. It's part of Saitek drivers. Do you have any Saitek drivers installed? Could you please update drivers to the latest version or try it without these drivers? Astaroth added a comment to T138714: MP Server Zeus Freeze Crash. could you please try it in vanilla game (game without mods)? geo9 added a comment to T138257: Map display event handlers not being destroyed after switching servers. BIS_fnc_KK added a comment to T73747: "year" doesn't sync when setDate is used on server restart. POLPOX created T138738: [Request/lack of content] Add more way to show backpack/NVG on an unit in a vehicle. Deadwolf created T138733: Forward-right rifle lowered crouch run is slower than other directions. G.Ho created T138714: MP Server Zeus Freeze Crash. Groove_C added a comment to T127801: Y-32 Xi'an hot air doesn't follow/correspond to angles of motors' exhausts - always horizonal. Groove_C added a comment to T137524: Qilin LSV's RVMATs make it darker than other vehicles. This shouldn't be difficult to fix, I think. Groove_C added a comment to T137522: "clothing1_injury.rvmat" is lighter than "clothing1.rvmat". Valid as well for CSAT! BIS_fnc_KK added a comment to T82819: BIS_fnc_setDate Error. 16 years, we are getting closer! wilde_Brunhilde added a comment to T138640: Crash Report. During the Mission Exit Strategy i opted for the helicopter ambush after calling in the helicopter and waiting for the Approach the game crashed repeatedly. After reverting it crashed at the start of the Mission Exit Strategy. Vitdom added a comment to T138640: Crash Report. Can you describe at which point in the campaign did you crash? Freddo3000 created T138654: Typo in field manual "Mil Dots" page. mickeymen updated the task description for T128198: The character of the player automatically rises from prone!. mickeymen edited Steps To Reproduce on T128198: The character of the player automatically rises from prone!. wilde_Brunhilde edited Additional Information on T138640: Crash Report. wilde_Brunhilde created T138640: Crash Report.